So what is Google Attribution I hear you ask yourself, well to put it basically, it is your marketings very own MVP, the Cristiano Ronaldo and Lionel Messi of the marketing world. We live in a world where sales and enquiries through your website will come from multiple touch points. Attributing all your sales through the last click is now dead, that is why understanding what attribution is and how it works is absolutely vital for online success. It is the process of understanding the buying behaviour of your customers and to, therefore, determine how credit for sales and conversions are assigned to certain touch points along the conversion path. One key aspect that sticks out is that Attribution modelling is that it will give your business a more detailed view at performance, and areas to grow. 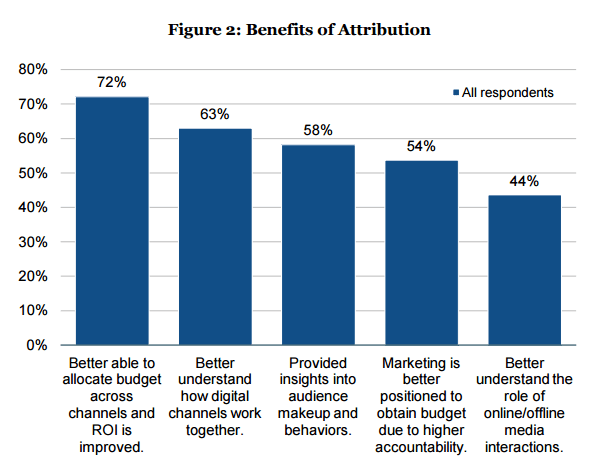 There are numerous reasons why attribution is important and I’m going to give you my top five. It enables you to determine which marketing channels work best for generating a lead, triggering a conversion or closing a sale depending on what business model you work off. Why certain touch points bring high-quality traffic but others under-perform in converting leads. They enable you to see which keywords or product groups are actually leading to a conversion. If you do not know this information, how could you possibly hope to optimise your campaigns to ensure you hit your KPIs? Every customers’ journey is unique, and cannot be justified without insights into their online behaviour. This is why each event in a lead conversion funnel is just as important and deserves your attention. You can see which channels produce higher output for your campaigns. Essentially Google Analytics maps the customers’ path to purchase and pinpoints the interactions that propel your prospects to take the desired action, this way you can proactively guide and optimise your marketing plan, budget and execution. First Click – This gives all the credit for the conversion to the first-clicked ad and corresponding keyword. This model is useful for people who literally just want to create brand awareness and drive traffic and are not interested in conversions. Last Click – The most commonly used model and one of the most inaccurate. The Last Click model assigns 100 per cent of revenue generated to the last customer touch point before a purchase. Linear – This distributes the credit for the conversion equally across all clicks on the path. Time Decay – Gives more credit to clicks that happened closer in time to the conversion. Credit is distributed using a 7-day half-life. So, a click 8 days before a conversion gets half as much credit as a click 1 day before a conversion. Position-based – This gives 40%of credit to both the first and the last clicked ads and corresponding keywords, with the remaining 20% spread across the other clicks on the path. Data-driven – Distributes credit for the conversion based on the past data for this conversion action. This, however, has certain requirements which are for at least 15,000 clicks on Google Search and a conversion action must have at least 600 conversions within 30 days. Upon this our recommendation would be if possible, Data-driven (DD). It’s the most reliable and should be your number one attribution model providing you have enough frequent conversion actions to qualify. After Data-driven, Position-based and Time decay are where you want to be looking, should your account not be eligible for DD. 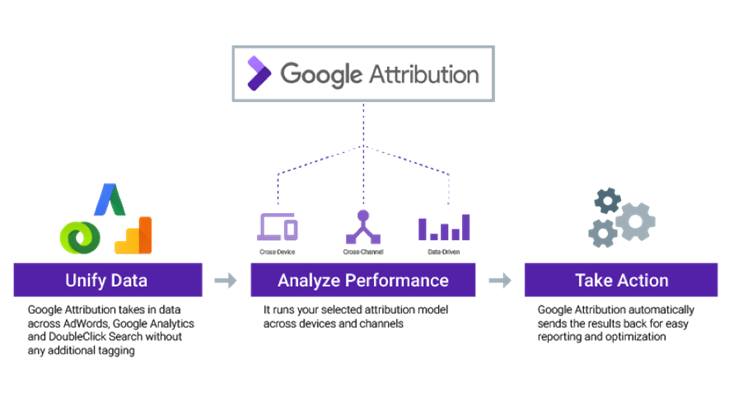 To conclude, Google Attribution is absolutely vital and should not be ignored in order to better understand the process by which customers interact with your business. 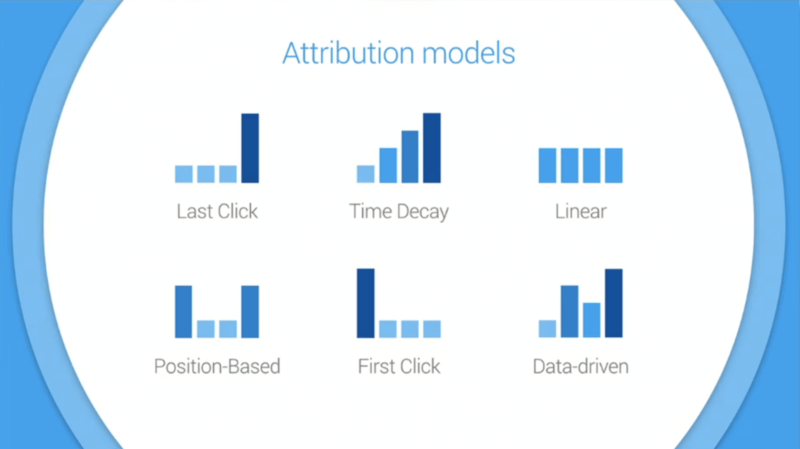 The right use of a Google Attribution Model will help you make more concrete decisions and enable you to grow your business.